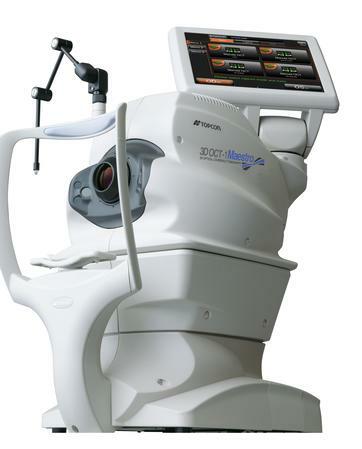 What is an Optical Coherence Tomography Scan? A low powered light scans the back of your eye. The OCT scan allows viewing of the deeper layers of retinal tissues unlike during standard eye examinations or retinal photographs. The scan is simple and painless, taking just a few seconds to complete; the scan does not normally involve drops or contact with your eyes. What are the benefits of an OCT Scan? For a number of years we have been able to photograph the back of your eye making the record of your ocular health much more accurate. With the new 3D scan we still have the photograph but now we also have a three dimensional cross section of the back of your eye. 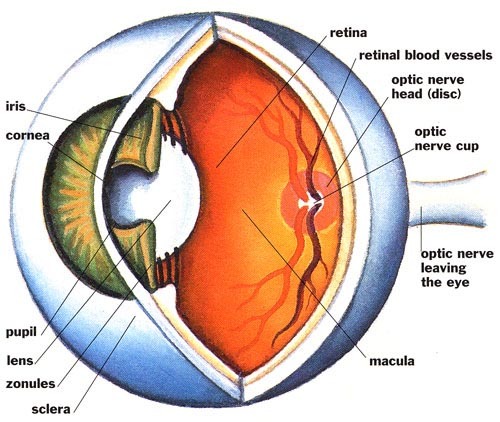 The information it gives us is invaluable picking up the most subtle changes to your retina. The OCT scan allows for early detection and therefore earlier treatment (where appropriate) of the following conditions: macula degeneration, diabetes, macula holes can be first seen. 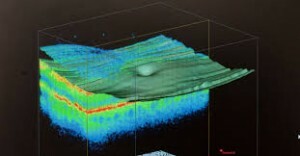 The OCT scan allows us to see the damaging effects of glaucoma by measuring the thickness of the nerve fibre layers, much sooner than standard glaucoma checks (i.e. visual fields and pressure checks). 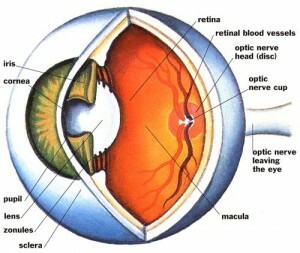 The OCT scan results are also very helpful in monitoring glaucoma if you have been diagnosed with the disease. Glaucoma is a manageable condition and early diagnosis is essential to help save your sight. This OCT scan is appropriate at any age if recommended by your optometrist.